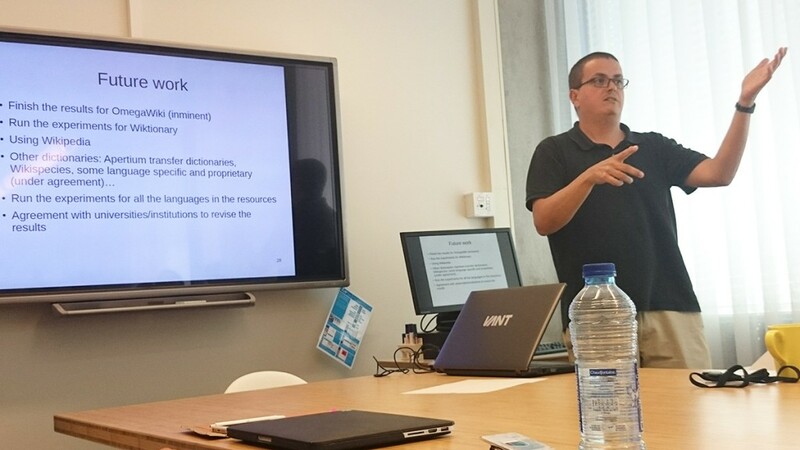 Presentation by Antoni Oliver González: Extending the WN-Toolkit: dealing with polysemous words in the dictionary-based strategy, at CLTL Amsterdam on July 22nd 2015. Presentation ‘Evaluation procedure’ by Antoni Oliver González on July 22, 2015. In the previous versions of WN-Toolkit when using the dictionary-based strategy we were considering only monosemous words, that is, finding the translation in the dictionaries for English words having only one meaning in WordNet. 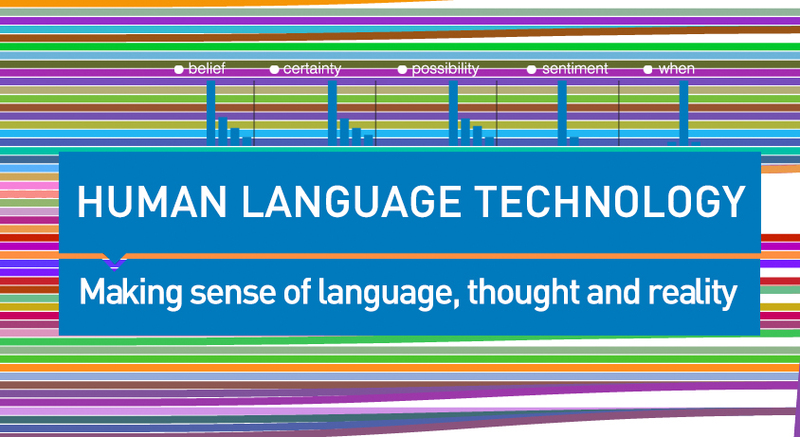 Although most of the words in WordNet are monosemous, the most frequent words in the language tend to be polysemous. Antoni is now experimenting with a desambiguation algorithm using definitions and relations in WordNet and definitions and relations in Omegawiki and Wiktionary. Definitions are pos-tagged and then we count how many open-class lemmata are in common in WordNet and Omegawiki and Wiktionary definitions and we also count how many common related words (hyponyms, hypernys..) to try to select the correct translation for the polysemous words. In the talk Antoni showed preliminary results for several languages. Presentation ‘Future work’ by Antoni Oliver González on July 22, 2015.